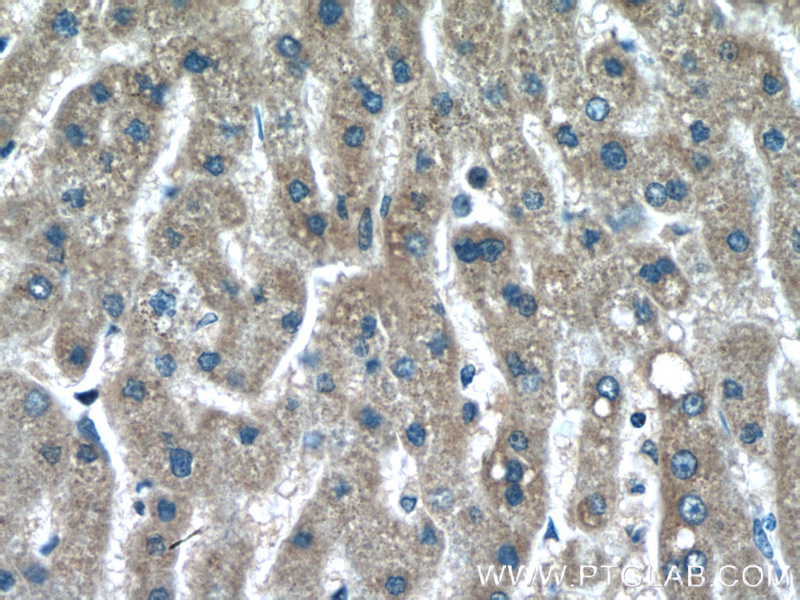 Immunohistochemistry of paraffin-embedded human liver tissue slide using 66260-1-Ig (alpha-1B-glycoprotein antibody) at dilution of 1:200 (under 10x lens). 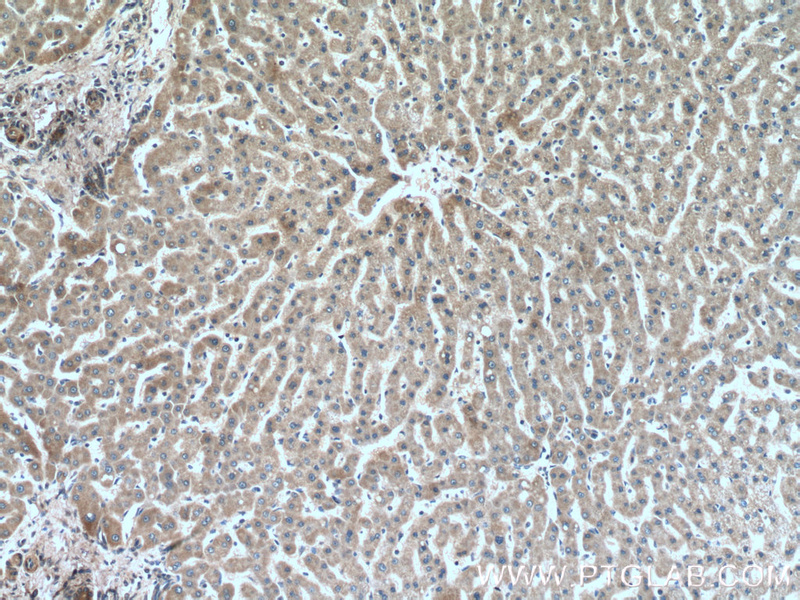 Immunohistochemistry of paraffin-embedded human liver tissue slide using 66260-1-Ig (alpha-1B-glycoprotein antibody) at dilution of 1:200 (under 40x lens). Alpha-1B-glycoprotein (A1BG) is a plasma protein and is a member of the immunoglobulin superfamily. A1BG contains 474 amino acids and has 5 intrachain disulfide bonds. It has been reported that cysteine-rich secretory protein 3 (CRISP-3) is a specific and high-affinity ligand of A1BG. A1BG-CRISP-3 complex displays a similar function in protecting the circulation from a potentially harmful effect of free CRISP3 (PMID: 15461460).